Sherri Cassara Designs: Decals, decals, decals! What do you think of this wall treatment? I'm thinking for a reception area. What if I told you it was a decal? I've used wall decals before but I didn't realize you can even change the colors to suit your decor. How perfect! I may have to pick up some for me too. Very cool. I especially like the white flowers. I wonder about using them on a ceiling? 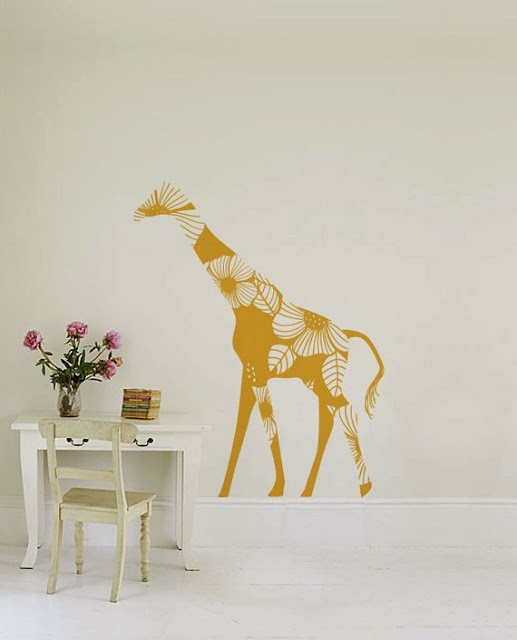 i looooooove the orange giraffe with the flowers! Mrs. S. - YES! 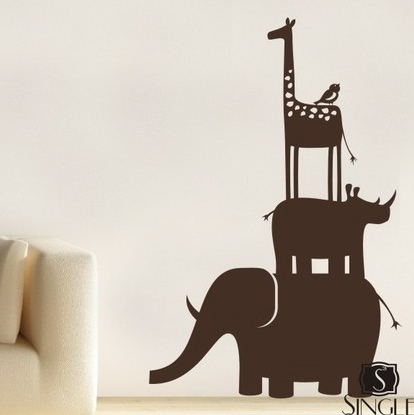 That giraffe is my favorite too!!! 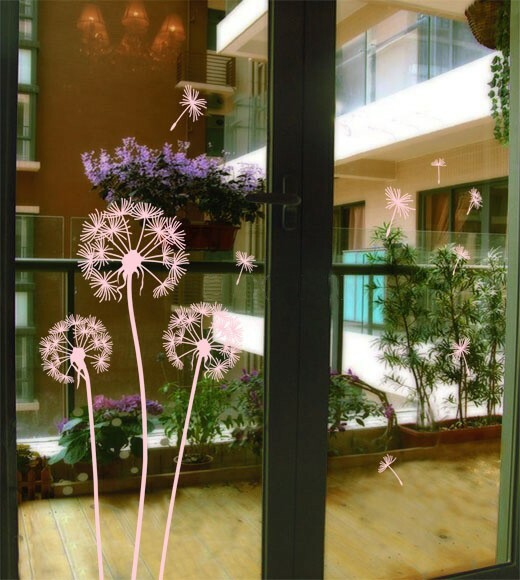 I love the dandelion one on the glass or wall...I'm going to have to look into this for my daughters room. Very nice! I love all of them. 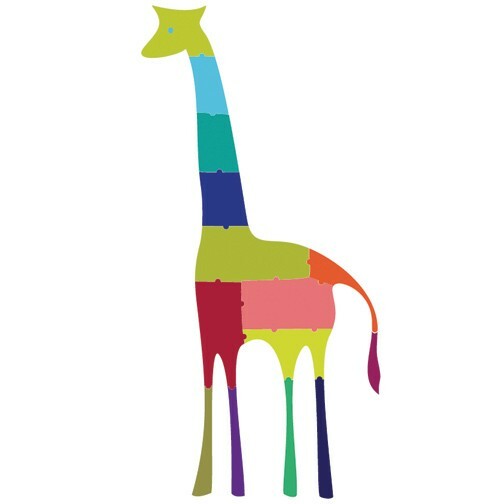 I love the mustard giraffe. 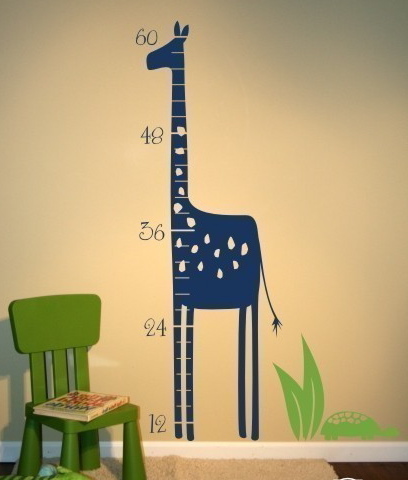 They are all so cute though, I think they would be great in a pediatric office. Can't wait to see what you decide. 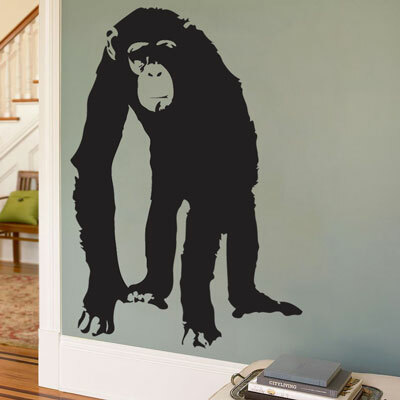 I think I'm adding all the animals to my master bedroom. Feels like a zoo sometimes anyway, so why not?